Wine tasting in Chianti is an exciting way to explore not just the vineyards but also the landscape of Tuscany. A well organized visit and wine tasting is the perfect way to combine the history of Chianti Classico, the flavors of the land and the stunning vineyard vistas. 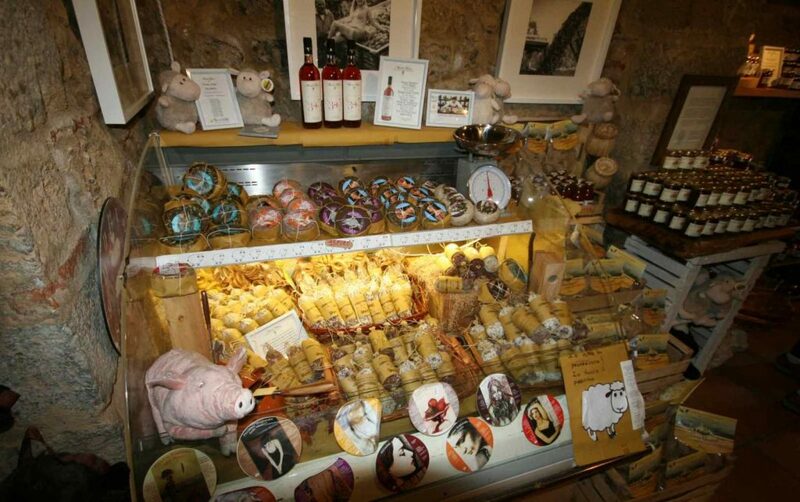 The options for wine tasting are diverse and each highlights a different way to visit Chianti and its wines. 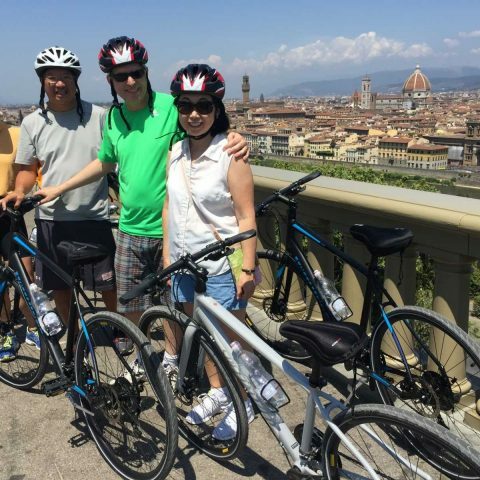 The most common itinerary ideas include: taking advantage of special events like Cantine Aperte or wine festivals; planning a wine tasting itinerary on your own; taking a standard group bus tour of the vineyards or you could book space on a Chianti Bike Tasting with the Bike Florence & Tuscany. Each of these ideas has it’s own set of pro’s and con’s, and each solution answers different needs. We have listed a few considerations below for each of these choices, highlighting some of the primary differences to help you choose the best option for you. The Chianti area, located between Florence and Siena, promises some of the most enchanting scenery. 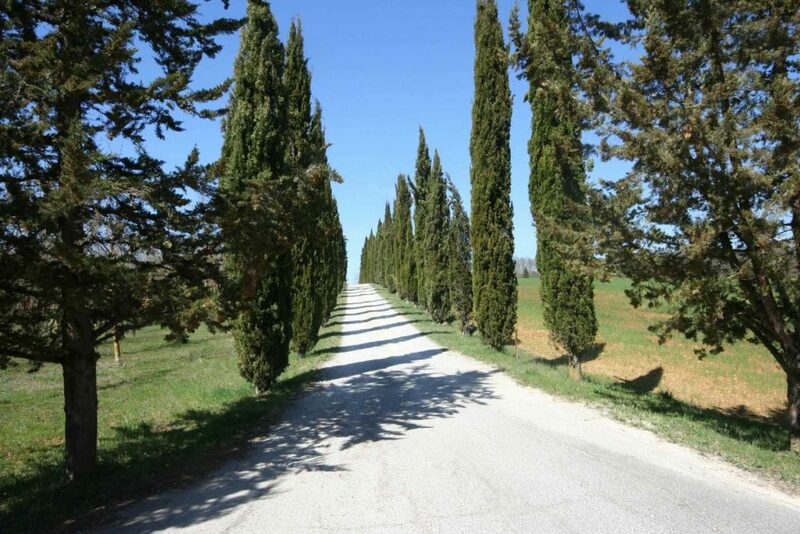 Many of these landscapes are best seen up close, either by walking or biking Tuscany. The tourist board proposes a busy calendar of events, local fairs, and wine tasting presentations for certain periods of the year. The Cantine Aperte event in May is an open-house for the vineyards, some of which only open their wine cellars to the public for this occasion! 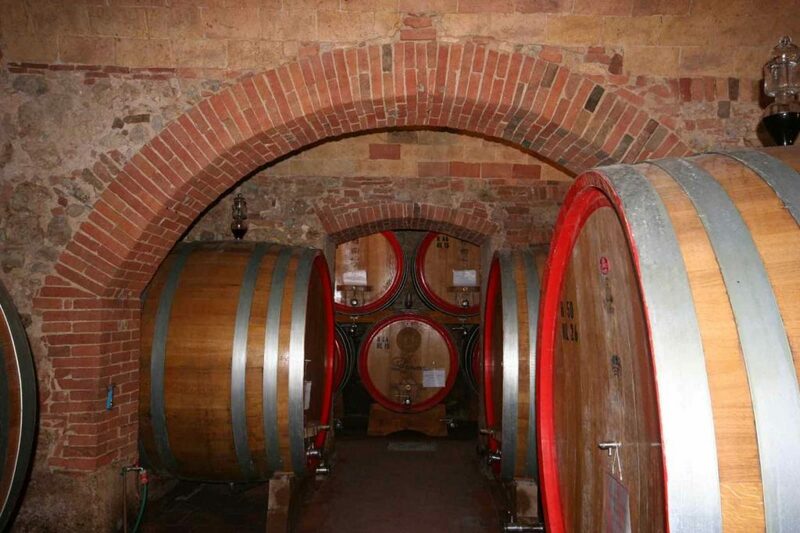 Since 1993, the last Sunday of May has been dedicated to the wine cellars of Italy and the Wine Tourism Movement. 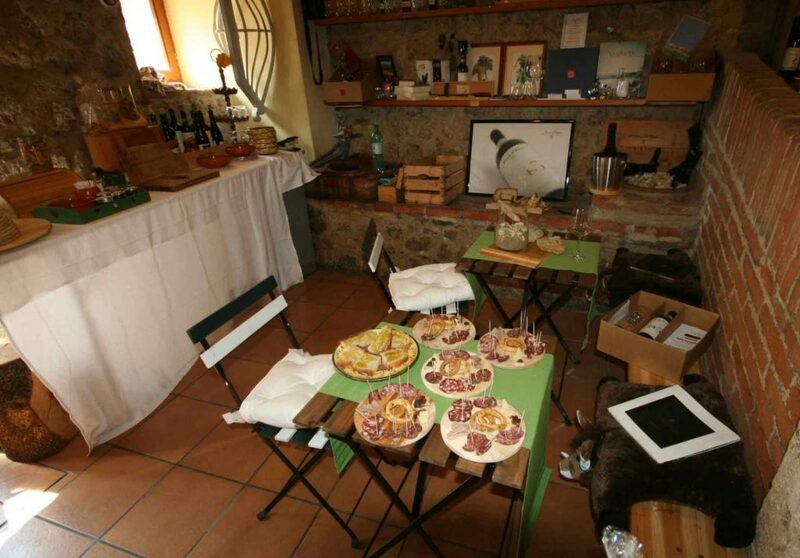 “Cantine Aperte” features vineyards who open their doors to the public, favoring direct contact with wine enthusiasts. If you are in Tuscany during the month of August there is the night of Stars & Wine Glasses and many other festivals geared for tourists who want to do some wine tasting. However, as charming and unique as these activities are, one must keep in mind that they attract large crowds and can be overwhelming for a visitor to Tuscany. The wealth of information online makes the do-it-yourself solution rather appealing. Browsing the sites before you arrive gives you ample time to select the vineyards open for wine tasting. You can then take time to map out the roads and make the required reservations for a wine tasting. Of course, if you wait till the last minute or decide to go wine tasting while you are already in Tuscany it becomes a bit more difficult to organize, book a spot for a visit and find the winery in a car. But for those who like to be in charge, this opportunity is your type of visit. The primary word of caution with this option: have a designated driver. It is already difficult to navigate the Italian roads while sober, you don’t want to add to the confusion with one glass over the limit. A classic fall back, is to sign up for a bus tour that travels the main roads of Chianti and stops at a few select vineyards for a quick wine tasting. This option definitely takes care of your problem of a designated driver! These tours give you a great overview of both the landscape and a brief description of Chianti wine with a quick taste of 3 or 4 wines. The downside to this type of tour is many times they are run by companies that are based outside of Italy with little knowledge of the area. Wine tasting is an opportunity to learn about the production and the producers, as well as the landscape and the surroundings. It should be a fun and safe experience, where one can get in touch with the real Chianti with locals. In addition, they have to accommodate a wide range of preferences. On a group tour, the day seems to speed by, with little time for shopping, visiting the towns and taking photos. Since these buses are large, they have a tendency to visit the larger vineyards who have bigger parking areas many times skipping over the smaller, artisan producers. 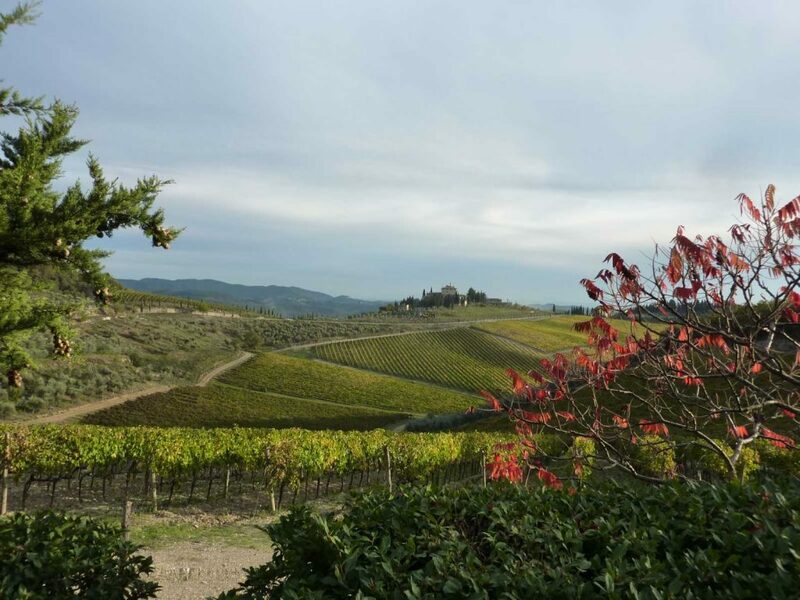 A Chianti Bike Tasting Tour with Bike in Florence & Tuscany, a Florence based company, uses back roads that show off the Tuscan scenery, features quality vineyards and proposes an itinerary that includes a wine education as well as wine tasting. 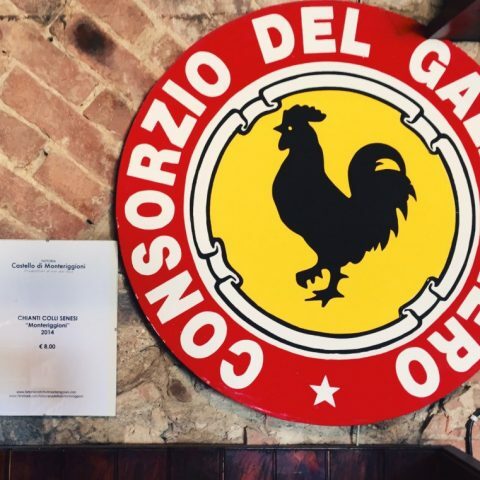 Especially designed to introduce you to the various steps of making, tasting and appreciating Chianti wine, the Chianti Bike Tasting includes two different tasting stops and a light lunch paired with select wines. Piero and Elena, owner & guides, have mapped out a low-traffic route that will take you through the picturesque hills of Chianti, with several photo opportunities and visits to small towns. The support van and personal service follows you everywhere you go, providing fresh water, energy snacks and guidance. Obviously, not everyone is up to the activity of biking all the way. The good news is that’s why the support van is right there with you! At any time while on the Chianti Bike Tasting Tour, you can opt to enjoy the scenery from the support van instead of pedalling down the next hill. 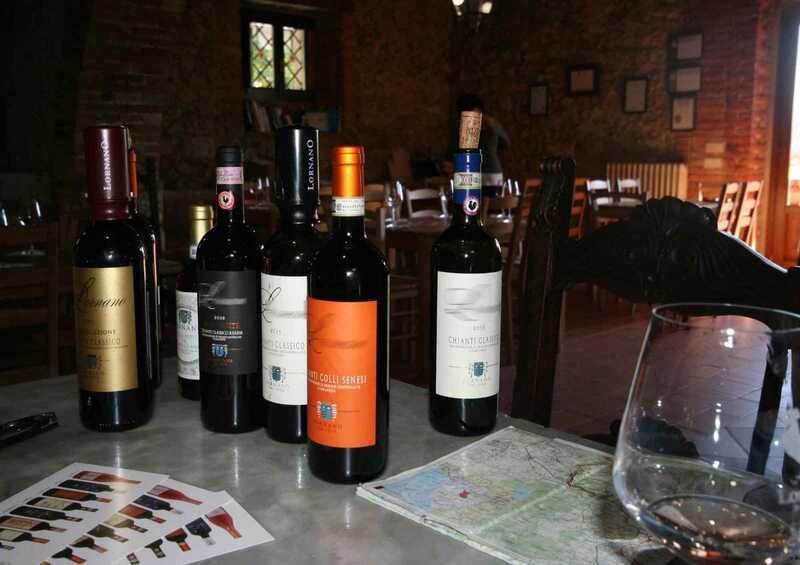 Wine tasting in Chianti is must when you are touring around Florence and Siena. The various wine tasting options available for a visitor to Tuscany can appear overwhelming, therefore it is important to understand what you want to experience. Do small vineyards, personal attention, exclusive visits sound inviting? Do you like the idea of getting up close to the landscape, seeing the real Tuscany and visiting picturesque towns? Are you concerned about drinking and driving, navigating the Chianti roads and not having time to see everything? These considerations should help you decide if you want to: plan, organize and navigate on your own; rely on a tour bus as it whizzes you by the vineyards and Tuscan hamlets in Chianti or go wine tasting with a native, pedaling the soft hills, visiting select vineyards and leaving the details to Bike in Florence & Tuscany.